Panel builders are all cheaters? I am a young professional in charge of electrical maintenance and new works of a Lime production site in Belgium. But I discovered recently that there are solutions on the market to make panels quicker to assemble, and thus cheaper than the ones I pay for, I’m pretty sure. I really feel it would be easy to optimize the wiring, and probably to reduce the size of the panels. 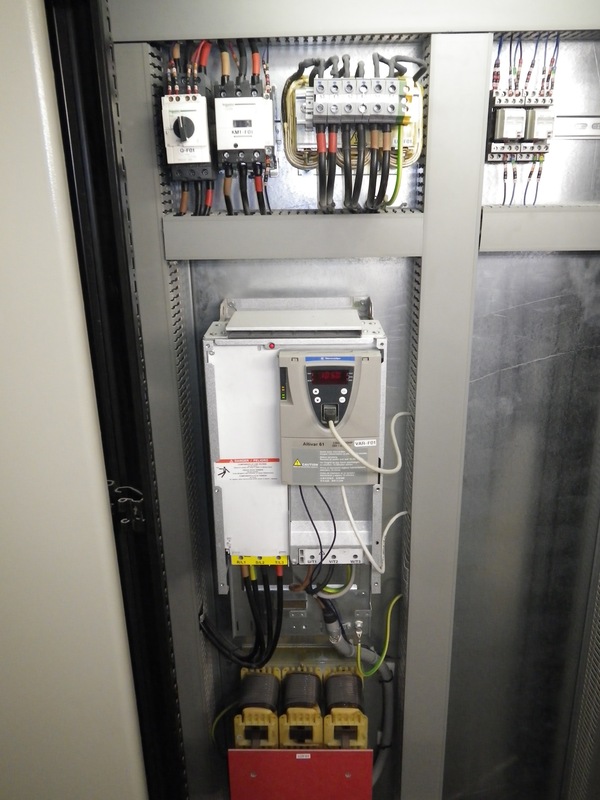 After a few clicks on the net, I saw that several manufacturers of motor starters (Siemens, Schneider, Moeller …) offer a whole list of solutions to reduce the wiring time and avoid this complex number of wires! On the contrary, I admit it is not easy to find your way among all these products: there are so many of them! From simple connection accessory between a circuit breaker and contactor to more comprehensive solutions using spring terminals, mounting plates, etc. So, why panel builders do not use these solutions? or copy this trackback: http://engineering.electrical-equipment.org/electrical-distribution/panel-builders-are-all-cheaters.html/trackback from your own site. Panel builders basically assemble components. If the components are tailor-made it will take more time to assemble. in cost effective way,time and thus cost can be minimized. Probably the solutions offered by the suppliers in term of accessories cost more to the panelbuilder rather than just bending some wires. On the other hand using ready factory made accessories will result to a type tested assembly, which is usually more expensive. I am a planner of electric schemes. I am using for some time the system with the compact motor starters and everything it’s ok. I use Schneider. I was trying to use the series 3RA6 of the Siemens but the delivery time were too long so I have to changed mind. For a great number of motor starters I’m using the Bus Bar Systems from Siemens or Wohner and that it increases the speed of wiring. For the connection between the magnetic protection and the contactor the builders make an accessory always available. The contactors would benefit by using a Tesys U contactor up to 32A or Tesys T for above 32A add a Modbus com module daisy chain the communication module’s together and back to the Plc Modbus card or also Ethernet on the T is possible. Very little programing on the Tesys U or T program Power suite is free or use the new So Machine as low cost compared to Siemens or AB. Therefore the panel cost is reduced if you the end user does the hook up and programming of the PLC which should take far less time but may cost more due to the higher intelligence needed to program. Good luck contact the local Schneider Rep and I am sure you will be very happy!!! If you think to do the job is so easy than you do it, but the panel builder know for sure wat to do, has in stock materials to do it right, he know the law and regulation. If you still think you can just order some components and asamble is a panel builder than do it by yourself, when it will burn the first one you will think more. What I saw in the picture is verry busy place with components, from one of the top supplier of components. By the way do you know the request of China for copper is so big – and the offer is not equal so the price is going up – true. Wire now is 35% bigger than 75 days ago. For components try another good example Eaton Moeller, with Darwin technology. Combine the components and put the labels on the components, not on the cable ducts! It’s hard to work on this panel, when you have opended the ducts! PLC interface Weidmuller, Phoenix, Eurogi or other with terminal block or relay (classic or solid state). Like I just said I’m using Bus Bar System and compact motor starters Tesys U, 3RA6. Sometimes is enough to take a look on the constructors sites to find new solutions. The panel builders have to know all this new articles/components. You can send the photos to engineering@electrical-equipment.org. I will attach them to your post. Thanks for explaining the topics by Pictures , and me requesting you that i am a new viewer this foruml so kindly help me in it basics. As a former machine builder, I was responsible for doing the panels. My experience has shown me that there is always a tradeoff. The material costs of newer technology can sometimes but not always exceed the cost of labor, and older technology. I think the quality of the panels look very good. I have been a UL508A panel builder for 19 years and would have to agree. As an example I will talk about the Allen-Bradley remote termination module (RTM) for the Control Logix PLC. I can wire a 16-point digital output module to terminal blocks in about 90 minutes for about $100 in labor cost. Add the cost of the wire and terminals and you add about another $100. The cost of the RTM is $300 or so. Then you have another $200 – $300 for the cable to connect the RTP to the PLC module.That’s a different of about $300 per module. When most PLC’s I wire have at least 5 modules, you save about $1500. New is not always cost efficient. For a large number of motors to be controlled I’m using the Bus Bar System. As for TeSys U must know that they are in two sizes: one that goes up to 12A and the second goes up to 32A. I do not know if it is permissible to post links of the various manufacturers to provide complete information, however, I also put these details. had very long delivery times. 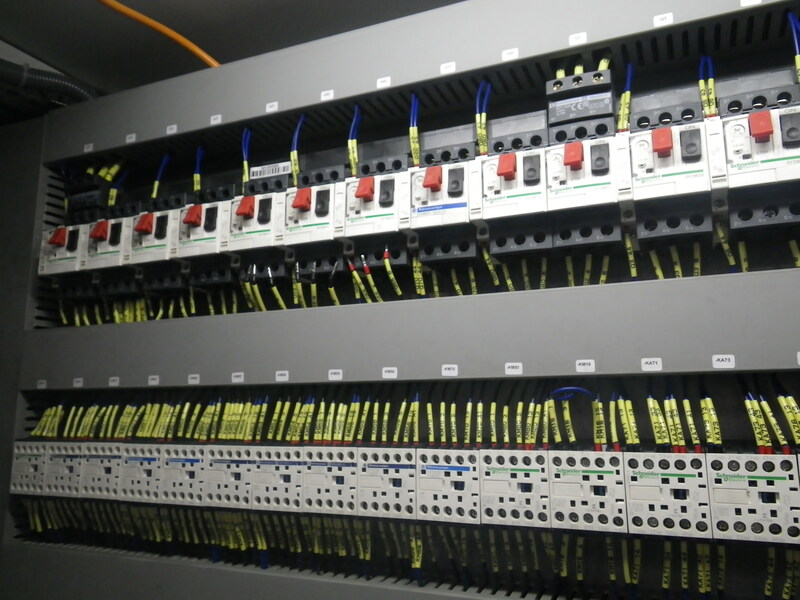 Hi guys,Greetings from uganda, firstly i thank u very much for the engineering jobs done, am an electrical technician , a founder of Nfluco youth Build a company that co.ordinates Industrial Training for Electrical trainees in uganda, am therefore in need of a help to understand the simpliest method of building control panels for plc intergrated systems and others. Thank you, regards from joseph. 1.) Did you consider to try asking an other constructors. If you want I can give you some alternetives (mainly East-Flanders, others I will need some digging) where you can ask for quotations. 2.) If you want to switch to pre-wired systems, you also need to consider the extra cost of spares for that system, and the future availability of this type, not all systems are downwards compatible. 3.) In our company we use mainly the interface modules of Phoenix contacts, which have the advantage that they have special products if you revamp your PLC (Change Siemens S5 to Siemens S7). If you have more question, shoot! Most of the Panel specifications are given by consultants.Consultants are paid fees based on % of the cost.As a result they always make the estimates with top end costly components ,irrespective of their need for the system. It is not right to blame the Panel Builder alone. Hi, I am new to this forum. But I see that a lot of you are in a line in which I am interested. I manufacture trapped key interlocks ( complete systems ) for panels fom India. I was the manufacturing base for a leading uk company until recently. In case any of u are interested in sourcing interlocks frm India, please let me know. watch out for brussels. I’ll be grateful if you continue this in future. Many people will be benefited from your writing. Cheers! Lot’s of opinion,One thing as a panel builder I see there is not compartmentalized . We normally think of two aspects. Can You Adrien hire a panelbuilder for yourself,one that might double as electrical and mechanical maintenance and multipurpouse worker as well?I do all that,plus sugest improovements for energy efficiency,implement solar energy,energy recycling,ocasionally drive trucks,and possiby come up with other improovements.Besides willing to learn whatever and speaking almost 6 languages.